UV Swim Shirt 'African flower' with short sleeves by Sonpakkie. 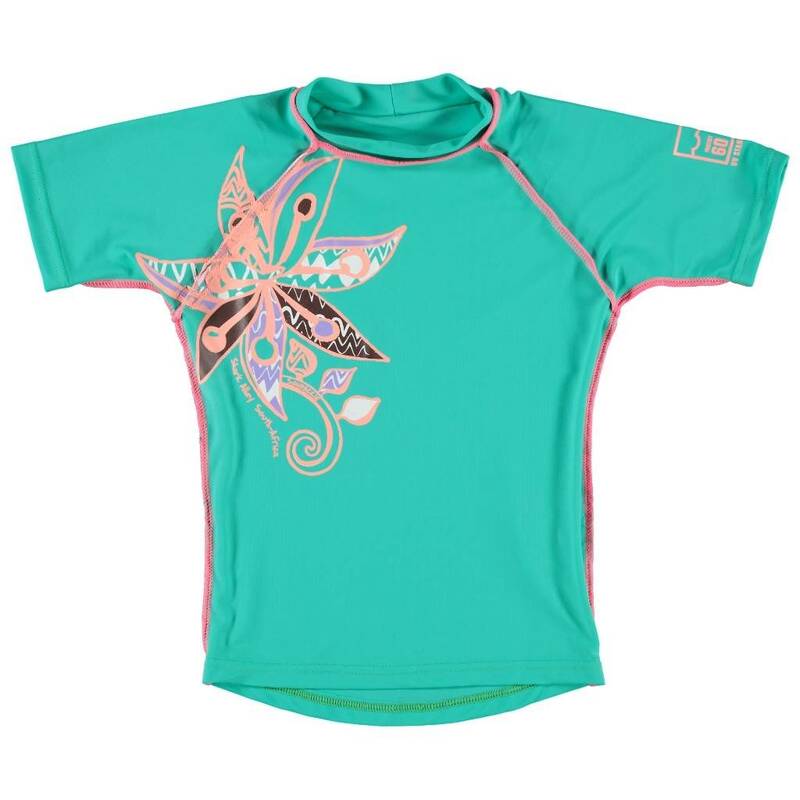 This cool UV protection swim shirt for girls has a protection factor UPF 60. UV proof and UV protection swimwear protect your kids from the dangers of the sun. 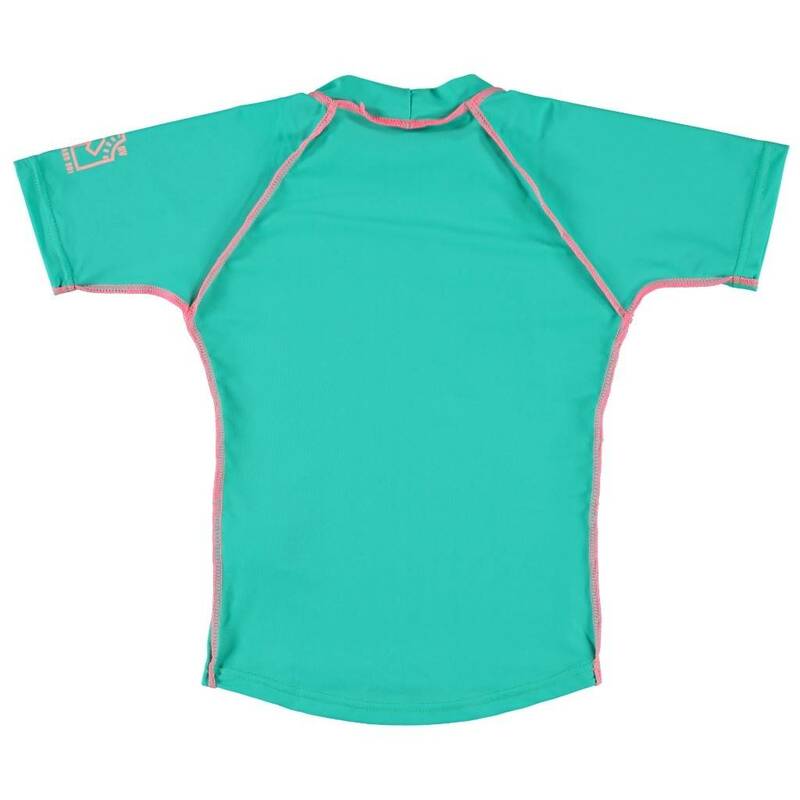 This Sonpakkie UV swim shirt in ocean green (with short sleeves) has a flower print on the chest and is available in kids sizes aged 5 - 12 years old. This Sonpakkie UV protection and UV protective swimwear for babies and children has a protection factor UPF 60.